Dr. Chetan Prakash gained extensive experience working in some prestigious hospitals abroad. He underwent advanced training in hip and knee replacements, revision surgery & hip resurfacing from the Cleveland Clinic & Euclid Clinic in USA. He has also completed a Fellowship in Orthopaedic Surgery and Sports Traumatology from Kanto Hospital Bruderholz in Basel, Switzerland. 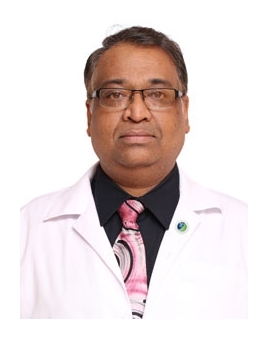 His expertise include performing internal fixation in trauma deformity correction in poliomyelitis, limb lengthening and interlocking nails and various hip prosthesis.